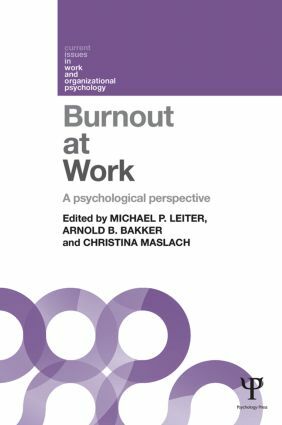 The concept of burnout materialized in the 1970s (Schaufeli et al., 2009), and was defined as a multidimensional syndrome that is experienced in response to chronic job stressors (Maslach, 1993). Much has been written about burnout, and given the amount of time people spend at work each week (e.g., typical estimates across countries for full-time employees range from 40 hours/week in Canada to 42 hours/week in UK, and 43 hours/week in Australia; Organization for Economic Co-operation and Development, 2012; Statistics Canada, 2011), it is not surprising that chronic, negative working conditions can lead to feelings of exhaustion, cynicism, and inefficacy. It also is not surprising that employees form many relationships – both good and bad – with the people with whom they interact at work, including supervisors, clients, and coworkers. Ironically, these relationships constitute both potential chronic demands as well as potential resources to reduce demands. Therefore, the quality of these relationships has a huge impact on employees’ level of burnout and overall health and well-being. Moreover, in an information/service economy, the quality of working relationships has vital importance for both individual career development as well as organizational productivity.